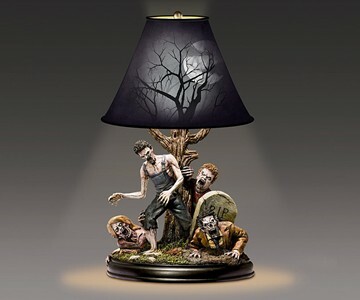 When you're spooked and unsettled in the dead of night, flick on this zombie lamp and - Waahhh! - realize that's what was spooking and unsettling you in the first place. The Dead of Night Lamp from sculptor and FX artist J. Anthony Kosar does little to calm your fears of the undead and their intent. Not like the original movie ending (and apparently the real book ending) of I Am Legend, which I heard revealed Will Smith as the "monster", and the zombies a new species trying to save themselves from him. The Legend that kills them in their sleep. They say there are many other differences in the I Am Legend too, setups and characterizations that make it much deeper than the movie. If you decide you want to read it, hey, here's an idea for the perfect lamp to read it by. 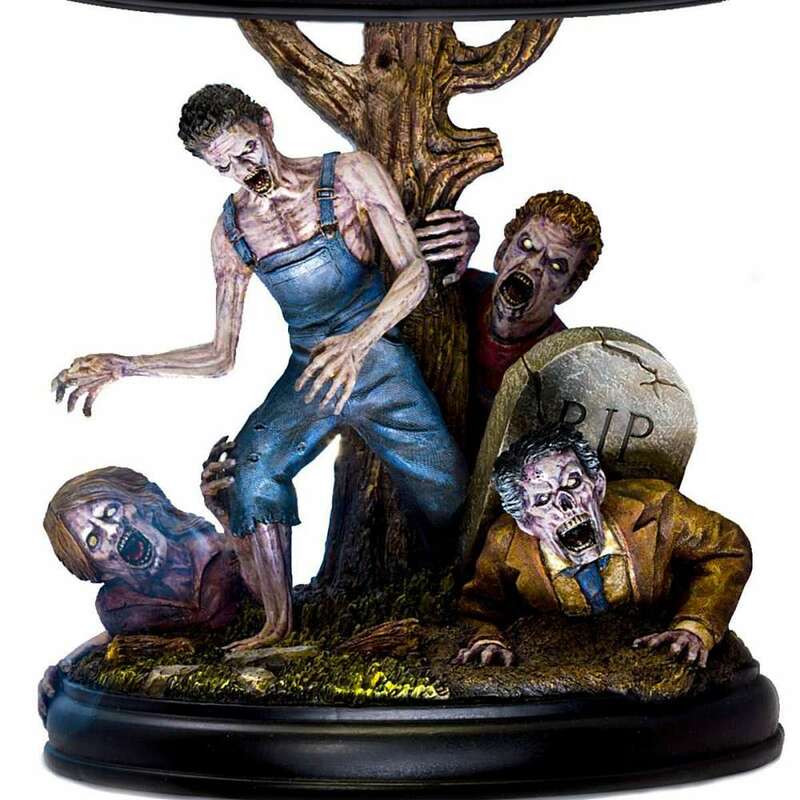 The Dead of Night Lamp depicts 4 handcrafted, hand-painted, fully dimensional zombies crawling out of the ground or lurking around the gravesite. 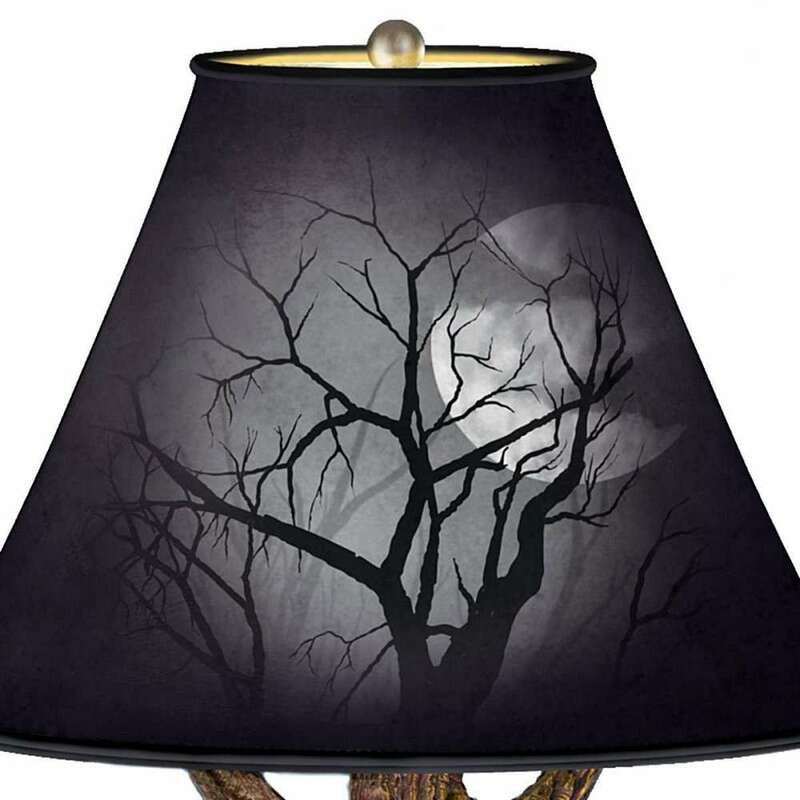 A twisted tree serves as the lamp's stem and, very cleverly, branches out at the shade, which is painted with shadowed limb artwork. A full moon shines in the shade's background. 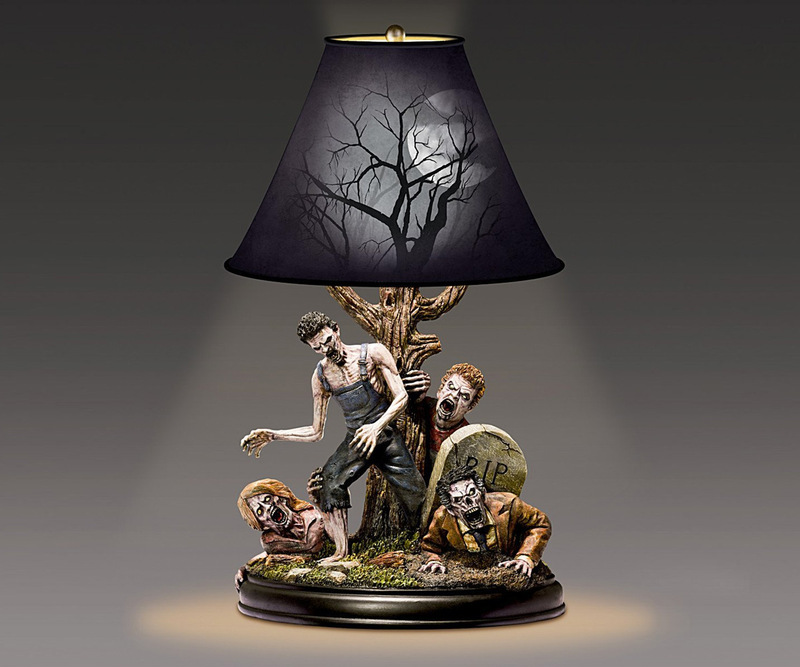 At 16" high, the zombie lamp is sized to be a Halloween gift for the tabletop.